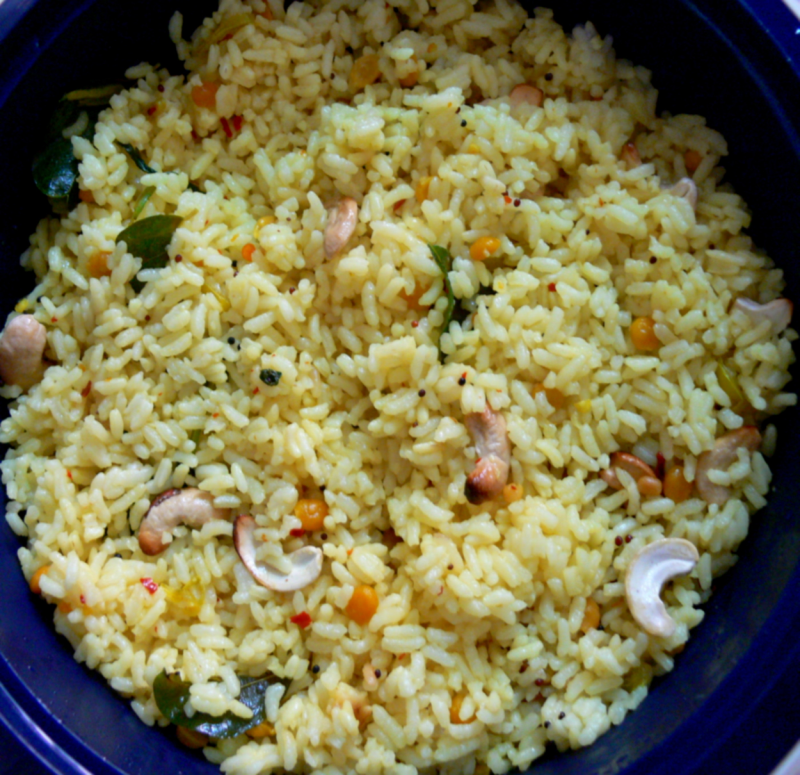 This is one of the variety rices being served in TamilNadu-done easily in 18 mins cooking-time & a mild and less spicy Rice.This rice can be taken with potato masala,thick coconut chutney and Chicken Fry.Best suited for a packed-lunch(esp.for kids). Wash the basmati rice well and pressure-cook with 2 cups water up to 1 whistle. leave this aside. Heat the refined oil in a kadai.Fry mustard seeds,red chillies,urad dal, green chillies,chopped onions,split gramdal and curry leaves for 3 mins. Add the lemon juice,turmeric powder,green chillies, asafoetida,grated ginger and the salt.Mix this well. Allow this to boil for a min.When it begins to boil,turn off the flame within a min(otherwise the lemon rice will turn little bitter). Put the cooked basmati rice over it and mix well till it is evenly spread.Check for salt and garnish with roasted cashew nuts,fried onion rings and coriander leaves. Serve this Lemon rice with potato masala,thick coconut chutney and Chicken Fry. Hi Christy, your rice looks too yummy. I am a rice lover so I would love to try it out.Thank you.